What is home loan protection plan (HLPP)? Why should you not opt for it? Banks and loans go hand in hand and ever since the launch of loans in different sectors, more and more people have opted for it. In recent times, two things have increased quite a fair bit and those are home loan rates and death rates of human beings. Because of these two things, loans and particularly home loans have different schemes so that you get to pay off the loan positively. Now, there is something called as HLPP which is home loan protection plan and a lot of people opt for this but not knowing the actual fundamentals of the plan. Here are some reasons why you should not be taking home loan protection plans or HLPP! Firstly, what is a home loan protection plan? It is a plan in which you would not need to worry about the outstanding loan if in any case, you die or something happens to you prior to the settlement of the loan. This is ensuring the safety of your heirs and family members and getting them out of the equation of the home loan settlement policy. For example, if you take a home loan of say 40 lacs and something happens to you with an outstanding loan of 20 lacs, the HLPP will settle that for you and for that, you would need to pay a onetime premium. It’s a onetime premium thing! The HLPP is a policy in which you would need to pay a onetime premium, which is apparently way too much. As compared to the normal rates, the HLPP demands a round off 3 times the rates and that way you would be in grave loss. The HLPP is void for only five years and hence if anything happens to you after the five years of the policy the outstanding loan would not be covered by them and that way the very need of this policy would be void. It needs to be renewed every five years so that the need of this be valid. This is an insane thing which doesn’t cover natural deaths and suicides whereas the normal loan payment covers these two common and inevitable circumstances and hence it is advised to not to opt for this plan at the first place. If the loan is foreclosed by the lender before the actual date then he or she would not be getting any sort of refund of the premium. Generally, home loans take 7-8 years to settle down and assuming that the lender would be getting a hike of 30-40% on his or her salary, the foreclosure of the loan is very common amongst the masses. It is evident that you should not be opting for a home loan protection plan and hence you should go for the normal repayment plans. Always remember, your money is your assert and you should not be wasting it like this. Author PriyankaPosted on May 27, 2016 May 23, 2016 Categories Home LoanLeave a comment on What is home loan protection plan (HLPP)? Why should you not opt for it? What are the things that you should take note of before purchasing a house? A house is one of the most important investments that a person makes in his/her lifetime. Therefore, it is of up-most importance to get it right. The property market is one of the most cut-throat zones of business. Therefore, you must be made aware of some rules of the business before you make any sort of financial decision in this aspect. The very step consists of determining your purchasing power and accordingly deciding on the size and style and in which locality you want to purchase your new house. All of these factors depend on the amount of money that you are willing to pay for the numerous facilities that you would like to avail. Remember that the larger down payment you can make the less amount of mortgage interest would be incurred. It is advisable not to just depend on the internet to find you a suitable house. The internet listing will not provide you with much vital information like prior owners and deformations and shortcomings of the area. The online advertisements would only glorify the positive aspects of the houses. This is why one should enlist the aid of an agent to help you track down some amazing houses in your budget. Most of the sellers of houses list the sale with their agents. So hiring an agent will make your work much easier. They earn their commission through the sale of every house that they are able to sell. You should also enlist the help of a lawyer to help you with the law jargon and all the other numerous legal formalities, which crop up involving the ownership of a house. Having financial security is one of the most important aspects which have to be considered while purchasing a house. You must know whether you will be able to afford one. If you don’t have a financial blanket to tide you over, then you can approach banks for home loans or try to make some other sort of financial arrangement. The expenses that you will incur for the purchase of your new house depend on the type of house that you want. A relatively new house should not incur any additional repair costs; therefore, the buyer can redirect that cash flow towards the redesigning and decoration of the house. New houses also most of the time come with a warranty period. The old homes might have certain quirks and imperfections. Though the older homes will have a better resale value. The property should also be checked thoroughly, the locality, availability of schools, markets, roads, transportation, car parking zone, noise level and security. All of these factors determine the price of the house. You should complete all the legal formalities checked by a lawyer. After taking care of all the negotiation process with the seller and drawing of the sale contract, the selling takes place and you become the owner of your new home. Author PriyankaPosted on May 26, 2016 May 23, 2016 Categories Home LoanLeave a comment on What are the things that you should take note of before purchasing a house? Buying a house is one of the most important milestones in a person’s life. However there are numerous facets which have to be considered before proceeding with the purchase of a new house. Most people avail home loans for the purchase of their new house. But before approaching a bank for a home loan there are numerous things which must be kept in mind. The property market is not without its own shades of darkness, therefore a person about to enter this world, should be aware of its numerous avenues and nuances. The first step towards the discovery of this whole new world of home loans would be to learn the lingo of the property world. Every professional sphere has its own language of communication, individualistic and unique in its self- its very own lingo. Those who are unable to grasp the lingo of the property world and the world of home loans are ones most likely to get cheated of their dues and benefits. One must be aware of the ‘fixed rates’, ‘market rates’, ‘adjustable rates’ and ‘mortgages’. These are a few of the property jargon. One must be able to comprehend how the interest rate on the mortgage would affect the monthly payment. Another important factor to consider before applying for a home loan would be to deliberate on the amount of money that he/she would be able on spend for the purchase of their new house. Determination of the purchasing power is very important thing to consider before applying for a home loan. A mortgage calculator can be used to figure the purchasing power along with the taxes and insurances, which would be incurred. Also it is noteworthy to mention that making a higher down payment would reduce the mortgage amount considerably. Before applying for a home loan it is best not to open or close accounts. Applying for new credit cards or any other form of credit accounts could affect the loan about to be undertaken for the purpose of purchasing the new house. It is equally important not to close any of the existing accounts, as an active account, even one with null balance shows the credit history. A longer credit history, especially those, which have a good payment record, are better as they portray a positive review. Have a steady job. Having an unsteady job, or quitting your job before sending an application for a home loan will have a negative impact on the loaners. A history of stable employment is pertinent for the approval of a home loan, at least be employed at the same job for 2 years or stick to your job for the duration of your mortgage. Having a steady job will also enable you to pay all of your bills on time. Moreover, remember while paying off mortgage, a late payment will incur a higher rate of interest. Also make sure that you have chosen the best mortgage company which is apt for you. Different banks. Different interest rates for home loans! Banks are the very foundation of people’s savings. People keep heaps of cash in the banks for security and growth. Now, the people who need some extra money and can’t afford it can take loans which are of various types. Home loans, education loans, business loans or personal loans being the most common and different banks have different interest rates on the home loans and that is why it is important for you to understand the thing deeply so that you do not get cheated. Amount of the loan- the amount is very important for the deciding of the interest rate as because a 1 crore loan and 50 lakh loan would not be having the same interest rate because the tax and other problems would be there. The period- the period is also very important as because everybody is not alike and hence some people would take less time to settle the loan and hence the rates would be much less as compared to the ones who take a longer period of time to settle the loans. Now the banks know a lot of things as they do a survey on what people need and calculating the needs of people and keeping their portion, they decide on the interest rates. Some private banks have always higher interest rates whereas the government banks take less. Let’s have a look on this matter. All the banks charge around 9.50% to 10% as the interest rates for the home/ housing loans. Some exceptions are always there as if you are a woman borrower, then the rates would be a bit less than the male borrowers. There is another thing. Up to a crore, the rates are different and above a crore, the rates are different for different banks. The private banks give importance to customer support in a better way than the govt. banks in most parts of the world. Sometimes the EMIs are calculated as per lakh basis and that way it is easier for the borrower to understand what is going on with his or her loan. Not only the banks but also some multi nationals also come up with home loans for the betterment of the public. Companies like L&T finance, India bulls and Tata capital housing finance are here which concentrate on building good relationships and offer minimal and comparable interest rates and of late, a lot of people avail these loans as well. So it must be clear on your part and it would be easier for you to understand the banks and their interest rates in a better way. Always remember be sure first, compare different rates of different banks and then go ahead with the loans as even a percentage of 0.2% can make a lot of difference as the loans would be in lakhs and crores. Author PriyankaPosted on May 24, 2016 May 23, 2016 Categories Home LoanLeave a comment on Different banks. Different interest rates for home loans! The interest rates for home loans are becoming more and more attractive with each passing day. Banks all over the world are regularly reducing their home loan interest rates, thereby allowing several people to finally realize the dream of purchasing that dream home. But before binding yourself in a home loan contract, ask yourself one question. Are you even eligible for a home loan? If yes, then what is the amount you are eligible for? These questions must be on the top of anyone’s list and these need to be answered. In this article let us try and see what the different factors are which a bank considers before sanctioning a home loan. Through this, you will be able to determine whether you are eligible for a home loan or not. This is considered as a primary filter for all the banks out there. There are three types of people who can expect to get a home loan from a bank: professionals, salaried individuals and self-employed individuals. A salaried individual working in a reputed organization has a higher chance of getting a home loan than an individual working in a smaller organization. The image or profile of a professional or a self-employed individual is also very important while looking for a home loan. This is a very obvious eligibility criterion that the bank has imposed. The higher your monthly income the higher amount of home loan you are eligible for. However, it is not only your monthly income that the bank considers. According to bank terminology, the Fixed Obligations to Income Ratio (FOIR) is considered while screening an applicant for a home loan. This means that the bank takes into consideration all other EMIs that you are currently paying, including any other obligation you may have, with the Home Loan EMI. They sanction the home loan amount based on this calculation. A very important factor which is considered by most of the credit issuing organization is the CIBIL score of an individual. The CIBIL score is calculated by considering your loan repayment capacity, by checking out the past payment records. If an individual has any defaults in credit card payments, multiple requests for loans or any defaults in payment of EMIs, their CIBIL score will be lower making them ineligible for a home loan. If you are in a position where the required home loan amount is not being sanctioned by the bank after looking into the FOIR then you can consider applying for the home loan with a co-applicant. This person may be your spouse or a parent. An earning spouse or parent means that both your monthly incomes will be considered by the bank before fixing the loan and EMI amount. Not only will the loan amount be higher but you can also share the EMI with your co-applicant. You can also avail the tax benefits, which are calculated as per the EMI paid. Author PriyankaPosted on May 23, 2016 Categories Home LoanLeave a comment on Are You Eligible For a Home Loan? c) Any relief in respect of tax paid outside India under section 90 or 90A or deduction under section 91 is claimed. d) Where an assessee is required to furnish an Audit Report specified under sections 10(23C) (iv), 10(23C) (v), 10(23C) (vi), 10(23C) (via), 10A, 10AA, 12A(1) (b), 44AB, 44DA, 50B, 80-IA, 80-IB, 80-IC, 80-ID, 80JJAA, 80LA, 92E, 115JB, 115VW or give a notice under section 11(2)(a) shall e-File the same. These Audit Reports are to be e-Filed and any person required to obtain these Audit Reports are required to e-File the return. 3) In cases covered by (a) above, the return is required to be e-Filed under digital signature (DSC). 4) In cases covered by (b) above, the return is required to be e-Filed using any one of the three manners namely i) Digital Signature Certificate (DSC) or ii) Electronic Verification Code (EVC), or iii) Verification of the return in Form ITR-V.
b) In any other case the return is required to be e-Filed using any one of the three manners namely i) DSC or ii) EVC or iii) ITR V.
Appeal to the Commissioner(Appeals) in Form 35. 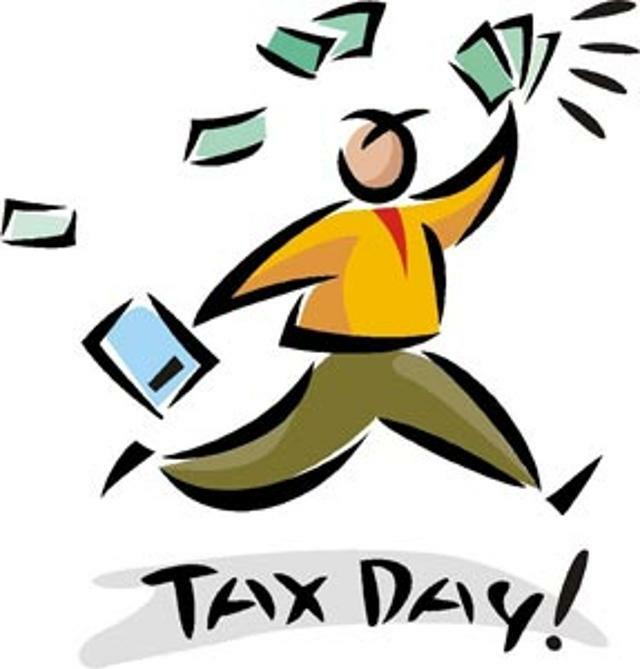 Author Vijayananda ReddyPosted on May 20, 2016 July 25, 2016 Categories Income Tax, LoanyantraTags e-filing, Income TaxLeave a comment on What is tax e-Filing? Problem Description: I am not able to register my Digital Signature Certificate. Or while trying to e-File Income Tax Return using Digital Signature Certificate, the ‘Select your .pfx file’ or ‘Select with your USB Token’ buttons are not displayed or are not clickable. * Check if Java Runtime Environment 1.7 or above is installed in your PC. If it is not installed, click here to download. * If Java Runtime Environment 1.7 or above is installed in your PC and still you are unable to register DSC to e-Filing application, this is because the Java is disabled. GO TO Internet Options .Advanced .Settings .Enable the check-box for ‘Java’. Problem Description: An error appears on the screen: The E-mail ID in the Digital Signature Certificate does not match. Please retry. * Get a new Digital Signature certificate from your Certificate Provider which contains the same e-mail ID as mentioned in your e-Filing profile. Problem Description: An error appears on the screen: Invalid Digital Signature Certificate. Please contact your Certificate Provider. * Digital Signature Certificate is revoked. * Certificates can be registered on e-Filing website. * Digital Signature Certificate is not created in SHA-1 (Hash algorithm and 1024 bit RSA) or SHA-2 (Hash algorithm and 2048 bit RSA). Contact the Certificate Provider and get your Digital Signature Certificate checked. Problem Description: An error appears on the screen: Validity of the Digital Signature Certificate has expired. Please update a valid Digital Signature Certificate. Problem Description: An error appears on the screen: Validity of the Digital Signature Certificate has not commenced. Please contact your Certificate Provider. Corrective Action: The validity period of the Digital Signature Certificate has not yet started. A Digital Certificate cannot be registered if the validity period is yet to begin. * Register the same Digital Signature Certificate post the ‘Start date’ of the Digital Signature Certificate. * Contact your Certificate Provider and attain a Certificate with a ‘Start Date’ same or less than the date of registering the DSC with e-Filing website. Problem Description: An error appears on the screen: Invalid Digital Signature Certificate. The trusted Parent Certificate could not be verified. Corrective Action: Digital Signature Certificate does not belong to a Trusted Certificate Provider. To view the list of the Certified Certificate Providers. In this case, you should contact the Certificate Provider and get your Digital Signature Certificate checked. Problem Description: An error appears on the screen: The PAN mentioned in the Digital Signature Certificate does not match. Please retry. * The PAN in the Digital Signature Certificate does not match with your registered PAN. You should contact your Certificate Provider and get the PAN in your Digital Signature Certificate checked. * If you are a Firm/Company/ AOP/BOI/ Legal authority/ Co-operative society, Artificial Juridical Person/ Trust, ensure that the PAN mentioned in the Digital Signature is that of the current Principal contact (Authorized signatory). If your principal contact has changed, ensure that you have updated the PAN details of the new principal contact (under ‘Profile Settings’ • ‘Update Principal Contact’s details), and the PAN encrypted in DSC matches with PAN of Principal contact. Problem Description: An error appears on the screen: The Digital Signature Certificate is already registered. * The DSC you are registering belongs to someone else. Make sure that the DSC you are registering belongs to you and has your PAN and e-mail ID encrypted. * The only exception to this rule is that an authorized signatory (principal contact) for an organization should register his/her own DSC to e-File for the organization. The same DSC can be used for personal e-Filing too. Problem Description: I am the Principal contact (authorized signatory) for a Firm/Company/ AOP/BOI/ Legal authority/ Co-operative society, Artificial Juridical Person/ Trust. I am trying to upload Income Tax Return using Digital Signature Certificate (DSC) for the same but I am getting an error message saying “PAN mentioned in Personal/ Verification section is invalid”. What should I do? Corrective Action: Please ensure that the PAN entered in the Verification section of the Income Tax Return is your (Authorized signatory) PAN and not of the Firm/Company/ AOP/BOI/ Legal authority/ Co-operative society, Artificial Juridical Person/ Trust. Also, if the Income Tax Return is being digitally signed, the PAN encrypted in the DSC must match with the PAN mentioned in the verification section. Problem Description: An error appears on the screen: Invalid File format. Please retry. Corrective Action: The DSC uploaded is not a valid DSC. Please select a valid DSC and upload it. Problem Description: An error appears on the screen: You need to register your Digital Signature Certificate before opting for Higher Security. * For Individual/CA -Please register your DSC by navigating to ->My Profile -> Register Digital Signature Certificate. On registering, you can enable higher security by navigating to -> My Profile -> Opt for Higher Security. * For Company/BOI/Local Authority/Firm/Trust/AOP/AJP -Please update your Principal Contact details and register your DSC by navigating to -> My Profile -> Update Principal Contact and then My Profile -> Register Digital Signature Certificate. On registering, you can enable higher security by navigating to ->My Profile ->Opt for Higher Security. Problem Description: I am not able to enable Higher Security. Digital Signature Certificate’ and register the Certificate. Once Certificate is registered, enable the option for higher security. Problem Description: I have enabled higher security. I am uploading my Digital Signature Certificate during LOGIN but I am unable to LOGIN. * The Digital Signature Certificate used for LOGIN is not the registered Digital Signature Certificate. Use the same registered Digital Signature Certificate to LOGIN. * Digital Signature Certificate is Revoked (Invalid). Contact the Certificate Provider in such cases. * Digital Signature Certificate is not from a Trusted Certificate provider. Contact the Certificate provider in such cases. Also, to view the list of Certified Certificate Providers. register. To register, GO TO ‘Profile Settings’ • ‘Register Digital Signature Certificate’. Once Digital Certificate is registered, you can enable higher security. Problem Description: I have enabled higher security. I am uploading my Digital Signature Certificate during LOGIN but I am getting an error: Invalid Digital Signature Certificate. Please retry. Corrective Action: This is because the Digital Signature Certificate being used to LOGIN is not the registered Digital Signature Certificate. Use the same Digital Signature Certificate which is registered to LOGIN. Problem Description: I have enabled higher security. I am uploading my Digital Signature Certificate during LOGIN but I am getting an error: Invalid Digital Signature Certificate. Please contact your Certificate Provider. Corrective Action: This error occurs if the Digital Signature Certificate registered with e-Filing is revoked (invalid). Contact the Certificate Provider in such cases. Problem Description: I have enabled higher security. I am uploading my Digital Signature Certificate during LOGIN but I am getting an error: Invalid Digital Signature Certificate. The trusted parent certificate could not be verified. Corrective Action: This error occurs if the Digital Signature Certificate registered with e-Filing is not from a Trusted Certificate provider. Contact the Certificate provider in such cases. Also, to view the list of Certified Certificate Providers. Problem Description: I have enabled higher security. I am uploading my Digital Signature Certificate during LOGIN but I am getting an error: Cannot read Certificate Keystore file <File Name>. The file is either not in PKCS#12 format (.P12 or .PFX) or is corrupted or the password is invalid. Corrective Action: This error occurs if the Password is not entered properly OR the Digital Signature Certificate is improper. Ensure the password entered is correct. If the problem persists, contact your Certificate provider. Problem Description: I have forgotten my password. How can I reset my password? * Click on the ‘Login here’ option on the homepage. * Click on ‘Forgot Password’ link. * Enter your User ID and click ‘Continue’. * Provide the required details and Submit. * On submission, the details entered are validated. 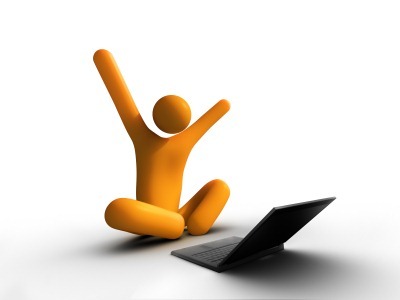 On success, the user will be able to enter the new and confirm password and click Submit. * User will be able to LOGIN with the new password. Problem Description: What is the secret question and answer I need to provide to reset my password? Corrective Action: The Secret Question and Answer is the one selected at the time of registration OR if you have changed it on a later date under ‘Profile settings’. Provide the same secret question and answer to reset the password. Problem Description: I am trying to upload the Digital Signature Certificate but it displaying an error. * The Digital Signature Certificate used is not the registered Digital Signature Certificate. Use the same registered Digital Signature Certificate to LOGIN. * You have not registered your Digital Signature Certificate. You cannot use this option to reset the password till the time the DSC is registered. * Digital Signature Certificate is Revoked (Invalid) or Expired. Contact the Certificate Provider in such cases. * Digital Signature Certificate is not from a Trusted Certificate provider. Contact the Certificate provider in such cases. Problem Description: What all document do I need to attach as a ZIP file during registering myself as Legal Heir? * Self attested copy of PAN card of the Legal Heir. Problem Description: I received an e-mail from Income Tax Department stating that my request for Legal Heir has been accepted and I am assigned as the Legal Heir for the deceased. Can I e-File for the deceased person now? Problem Description: I am assigned as the Legal Heir for the deceased person. How can I e-File for the deceased person? Corrective Action: LOGIN using your own User ID, Password and Date of Birth. Once logged in, GO TO ‘e-File’->’Upload Return’. Select the PAN from the drop-down option as the deceased’s PAN. Fill the remaining details on the page and upload XML. Sign using DSC if available and applicable. Problem Description: I am trying to upload Income Tax Return for a deceased but I am getting an error message saying “PAN mentioned on Personal/ Verification section is invalid”. What should I do? Corrective Action: Please ensure that the PAN entered in the Verification section of the Income Tax Return is your (Legal heir) PAN and not of the deceased person. Also, if the Income Tax Return is being digitally signed, the PAN encrypted in the DSC must match with the PAN mentioned in the verification section. Problem Description: Whose Digital Signature Certificate (DSC) can I use to e-File the deceased’s Income Tax Return? Corrective Action: You need to use your own valid Digital Signature Certificate (DSC) which is registered with e-Filing. Problem Description: I am the Principal Contact (authorized signatory) for a Firm/Company/ AOP/BOI/ Legal authority/ Co-operative society, Artificial Juridical Person/ Trust. I am trying to upload Income Tax Return for the same but I am getting an error message saying “PAN mentioned in Personal/ Verification section is invalid”. What should I do? Problem Description: I am unable to select the date from the calendar provided. Corrective Action: Open your Internet explorer browser and GO TO Tools ->Internet Options -> Advanced ->Reset Internet Explorer settings, and Click the Reset button. Problem Description: I am trying to upload the Income Tax Return XML but I am getting an error ‘fake path and can’t read the file’. What should I do? Tools -> Internal Option -> Security -> reset the setting to medium high, close and reopen the Internet Explorer. OR Create a folder called ‘fakepath’ in your C drive and store the XML in the folder. On BROWSE, select this file and upload. Problem Description: I am trying to upload my Income Tax Return but an error is displayed as ‘Please upload a valid XML’. Corrective Action: This occurs when the file you are trying to upload is not an XML file. Please ensure that you upload the XML (generated from the Excel utility) and not the Excel. Fixed Rate Or Floating Rate Of Home Loan: Which Is The Way To Go? A home loan is typically the most expensive purchase you are ever going to make. As such, it is only obvious that you would want to optimize this loan to the highest extent possible. One major variable that often results in significant worry and creates a dilemma for almost every prospective home owner is the choice between a fixed rate and a floating rate loan. Fixed rate loans provide security and reliability; you can rest assured in the fact that the interest rate is not going to change. This gives you the benefit of knowing exactly how much you will owe in the future, which is especially reassuring for a product as long term as a home loan. However, if the interest rates fall in the future, you will be losing out on potentially a lot of money in additional payments; on the other hand, if rates rise you stand to benefit. So which one should you go for? You should be aware from the get go that no one can predict with any certainty whether the rates will go up or down. Like with the stock market, past performance is no guarantee of future reliability. While analysts and other people are constantly engaged in trying to time the markets and the political landscape and predict the future, but the truth is that it is impossible to do so and anyone who says they can are outright lying and are trying to make a fool out of you. Consider the fixed rate option: greater certainty in exchange for the possibility of missing out on savings in the future. If your EMI falls to be under 35% of your monthly income, you probably will not have any trouble making regular payments. As such, going for a fixed rate interest is desirable because it allows to budget long term and plan accordingly. Another reason to go for a fixed rate is if your financial advisor or you think that interest rates might rise in the future. However, keep in mind that if you are considering prepayment, that is making payments greater than your monthly dues, a fixed rate loan might charge you prepayment fees. The floating rate option is good when you have the possibility of paying off the loan sooner than the specified duration. If you make prepayments to the loan account, you actually pay less in interest over the life of the loan. Also for short term loans, the effect of changing interest rate matters less since the principal amount due reduces on every payment you make. If the interest rates are about to dip, it is wise to opt for a floating rate loan which will save you money in the future. You might also choose to shift to a fixed rate from a floating rate and vice versa, usually for a fee, if you feel that you might be better off with the other scenario. While there is no definitive answer to which is inherently better, make your decision with sound knowledge of your finances and your preferences. Author PriyankaPosted on May 7, 2016 May 12, 2016 Categories Home Loan1 Comment on Fixed Rate Or Floating Rate Of Home Loan: Which Is The Way To Go? The Expert’s Guide to Structuring EMIs and How to Read In Between the Fine Print! Arriving at a fair number for your EMI is one of the crucial points for any loan application. Repayment of a loan should be the number one priority in your mind after it is approved. Having the proper EMI structure can either make or break that endeavour. An improperly planned EMI structure can lead you to an inability to make payments, resulting in reduction of credit scores, increase in interest rates, etc. As a rule of thumb, an EMI that is under 40% of your gross monthly salary is the starting point for the ideal amount. That number means that you are comfortable in making payments regularly and there is very little chance of missing payments or defaulting. However, if you have additional payments like other outstanding loans or credit card debt, you need to adjust that number accordingly. Proposing a monthly payment that you are comfortable with is crucial in the engagement process with your lender; remember that it is in the lender’s interest to make repayment as painless as possible for you. Too difficult a payment plan and it is likely that you will default and not pay them anything! If the EMIs you propose are lower than what your lender had in mind, you might need to agree to a higher rate of interest then. This accounts for the greater risk the lender is taking on your account by stretching the duration of the repayment. If you have an existing loan that you wish to restructure, there are some options available to you as well. Restructuring EMIs is usually done if you feel that you are no longer able to continue with the present payment plan and agree to pay more in interest (and possibly a restructuring fee) in exchange for reduced EMIs and an extension of the repayment period. When rates are down, lenders become competitive, trying to attract the most customers. During such times, you can switch your loan to a different lender to reduce the burden of the EMI or the tenor. Otherwise, you can simply opt to leverage leaving for a competitor in order to get a better deal out of your present lender by renegotiating the terms of your account. This works wonders because no lender wants to lose customers over the fact that the latter is having trouble repaying the loan and the former is unwilling to help them out in that endeavour. Consider visiting a credit counselling centre before you decide to finalize your terms! Some expert advice from impartial people who do not stand to gain (or lose) from your actions may be useful when it comes to finalizing terms of financial instruments that you might not completely understand. If you have a financial advisor, do consider their advice on how to deal with the situation. Remember that the lender is always willing to negotiate with a borrower rather than lose the business entirely. Author PriyankaPosted on May 7, 2016 May 7, 2016 Categories LoanyantraLeave a comment on The Expert’s Guide to Structuring EMIs and How to Read In Between the Fine Print! The First Step: Do You Qualify For A Home Loan? Applying for a home loan can be both exciting and excruciating. You are on the verge of buying a home, a place to call your own; of course it is exciting. However, it is important not to get too caught up in the celebratory mood; home loans, by virtue of their large amounts, are also the cause of significant concern and worry to almost everyone who applies for one, especially in the beginning stages. Learning how exactly banks and credit unions calculate your eligibility to qualify for a home loan can lead to some well-deserved peace of mind and security in the fact that you have done all you could have. Getting to know how much you can borrow in advance can also help you narrow down your choices and your budget, which will certainly help you to arrive at a decision about a house or piece of real estate sooner. The general rule of thumb when it comes to calculating your eligibility for a home loan is that it is five times your annual take home (after tax) pay. However, pending “open” mortgages like a car or an education loan, or even credit card debt,that require monthly payments can skew that number by making lenders warier of lending to you. Also, banks and credit unions do not always agree on what is the “qualifiable” income, which can often differ from what appears on your salary slip (if you are employed by a company; the rules are different for the self-employed). Lenders will often calculate a gross “housing cost” of a borrower as 28% of the latter’s gross monthly income as well as your total debt to income ratio. Having a high credit score and a clean and favorable credit report is also advantageous for getting a loan (of any kind). A high credit score can help you pre-qualify for a mortgage and make it easier for lenders to deem you a responsible borrower. A low credit score can result in low financing, requiring you to make a larger down payment, a high interest rate, or even outright rejection or cancellation of your application. It is always a good idea to pay for 20% of the home up front and finance the rest of the value. People with good credit scores can often get away with a lower down payment, but putting 20% down is traditional for a reason: it is a safe bet and if you cannot afford to put 20% down, you probably cannot afford the house. Other than these, many extraneous factors that lenders take into consideration include the presence of bankruptcies in the past, history of regular payments, any collections that may have been initiated by a past lender, any credit cards that have been maxed out, etc. Usually, a lender will sit down to discuss these factors before arriving at a final number that they can offer you as a loan. As a general rule though, good personal finance is key to qualifying for the highest loan amount you are eligible for. Author PriyankaPosted on May 6, 2016 May 7, 2016 Categories Home LoanLeave a comment on The First Step: Do You Qualify For A Home Loan?